Search Marketing > SEO Content > Is iBeacon a Wearable Technology Gateway Drug? Now companies have a new way to learn your secrets, er, we mean help you get the most out of your brick and mortar shopping experience. It’s called iBeacon and it’s an indoor positioning system that allows in-store transmitters to send signals to nearby iOS 7 and Android devices. iBeacon technology can also be programmed to perform user experience enhancing tasks, like giving you a menu on your phone when you sit down at a table and then allowing you to send your order right to the kitchen. 1. Proximity marketing lets you get a potential shopper’s foot in the door with coupons delivered when the device holder is outside a storefront. If nothing else, the push notification puts the small business into the shopper’s mind by making them read the name of the coffee shop on their phone, while also physically looking at the coffee shop storefront to confirm that, indeed, they are standing in front of Surf Side Coffee. This means even if the shopper doesn’t pull the trigger and walk in right then, iBeacon has put the idea of the business into the mind of the consumer, which automatically gets the business one step closer to snagging the consumer at a later date. This feature is similar in theory to what Twitter wants small business owners to get out of their Nearby Tweets beta. 2. Remind shoppers of items they have on an app grocery list, and sway them toward one brand over another with a money saving offers. See this feature in action with the List Bliss app – an app that lets you create shareable lists, and receive push-notification coupons for products that are on your shopping list. 3. Gamify the brick and mortar shopping experience, incentivizing shoppers to walk over to certain items in the store and scan them with their app in order to earn reward points that can be cashed in for a high-dollar retail item, like an Xbox. This is amazing because it actually puts products in people’s hands. Maybe you never knew Dole fruit cups were corn syrup-free because you had an assumption about them and, accordingly, never thought to look nonetheless buy; or maybe you never knew a buttered popcorn flavored rice cake existed, and now that you do… well, of course you’re buying them. Plus, iBeacon gamification can make the shopping experience fun, like a scavenger hunt, and a reward points incentive can provide yet another way to encourage people to take that first step into a brick and mortar storefront. Check out the CheckPoints app to see iBeacon gamification in action. 4. Improve consumer shopping experience by letting shoppers skip the waiter and send their food order right to the kitchen, or see if a dress they’re interested in comes in different colors. After you get them through the front door, the experience they have inside is critical to keeping them there and bringing them back. Having iBeacon technology that helps consumers get food orders placed quicker, questions about retail options answered faster, and other experience needs met not only more promptly, but also with more attention to detail, can make all the difference between yielding a return customer or a one-star Yelp review. Watch this Estimote demo to see iBeacon technology being used for this type of in-store consumer experience magic. Isn’t this kind of like interruption marketing? Like a pop-up window trying to sell me something? A straight-to-user junk mail generator? Not really. Sure, like any other content delivery service (Facebook, email, etc.) it can be abused. Anywhere content exists there’s the potential for spam and interruption marketing tactics, but if marketers start thinking of iBeacon technology as a content delivering tool early on, and as such, start applying user experience-centered content marketing principals to the push notifications they send out through iBeacon transmitters, there shouldn’t be any spam overload issues. The Content Marketing Institute recently wrote an excellent article that delves into the logistics of creating a content marketing strategy that targets future theoretical iBeacon technology. 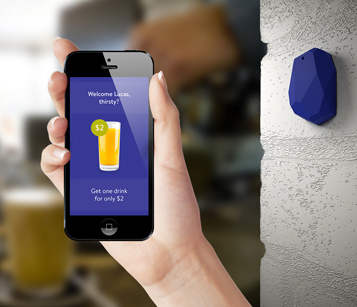 Basically, it’s best to think of iBeacon transmission like any other content vehicle. 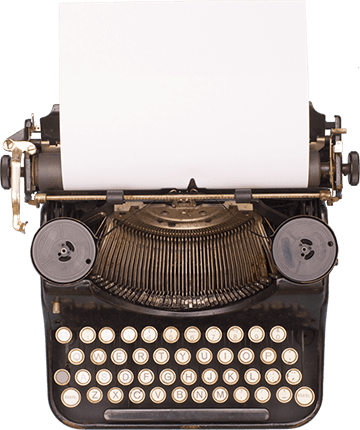 Create bad content and people will hate it; learn the needs of your end user and create great content that adds value to their life and the people will embrace it and love it. ….says the general public. But you’ll see. Technological connectedness is the way of the future and iBeacon technology is bridging the gap. Change is hard and it’s going to take some time before people (real people; not us tech nerds) are ready to start strapping something like Google Glass to their faces. I can sense a bit of resistance from the real world (what I call the place outside of my tech bubble where people I know haven’t ever considered that Google is run by an ever-changing algorithm), but I feel like iBeacon is going to play a very important role in bridging the gap between smartphones, Siri, and wearables like Glass. Right now people are a little creeped out by the idea of looking at a restaurant and having a tiny Terminator-esque screen attached to their face tell them more about the menu and consumer ratings. But getting these types of notifications on your iPhone is no problem. People are comfortable with smartphones; they use apps for everything from budget management and shopping, to online learning and beyond. They get push notifications for Facebook, Twitter, and email. Push technology is not uncommon and they feel comfortable getting a buzz or a jingle and looking at notifications on their phones several (hundred) times a day. The iBeacon push notification will just be another buzz or jingle that opted-in smartphone users won’t be able to refuse looking at, then, something will happen. As they get used to the idea of the phone knowing where they are and what they need, they will start to like it and get a real sense for how environment-responsive technology can contribute to their lives. From this point, as the iBeacon continues to make the line between the information you garner online (product research, coupon collection, reviews, recipes) and the information you collect organically in the real world (a bunch of shirts on a rack, a storefront in a strip mall) incredibly thin, I can easily see the distant leap from smartphone to wearable becoming more like a natural upgrade. Now, I’m not necessarily saying what Glass does and what iBeacon transmitters do is an apples to apples comparison; what I am saying is that iBeacon is using a technology medium that we are comfortable with to stretch our minds and accordingly expand what we perceive to be acceptable boundaries of technological connectedness — and I can see this mind stretching playing a critical role in the evolution of consumer interest in wearable technology. iBeacon technology is really an incredibly marketing opportunity, and an excellent way to contribute to and guide your consumer’s shopping experience. If you’re ready to try it for yourself consider checking out apps like OfferDrop, CheckPoints and List Bliss to start exploring the world of iBeacon marketing from a consumer standpoint, or download the Estimote Virtual Beacon app to turn your Bluetooth 4.0-compatible smartphone or tablet into a virtual beacon and use a second device to get a sense for what you can do with iBeacons from a marketing standpoint. All fine..the creepy aspects of tracking will cause the vast majority to turn BLE off…same reason google glass will only ever be a minority innovator /early adopter tech..the chasm will stop it! however, beacon technology can work the other way..the iPhone(not most androids at this stage) can be a beacon, the location can then respond by sending information… no information transmitted from the iPhone..
..reduces the tracking dimension completely. of course the ID would need to be registered, the backend would be more complex..
“The location can then respond by sending information… no information transmitted from the iPhone” — that’s how the beacon technology works now, yeah? You walk past a beacon and the beacon sends your phone information — your phone doesn’t have to send it information. Your phone can send it information if you want it to (like items on your grocery list, or your order at a pub), but your phone can also passively receive push notifications when passing by the outside of a beacon-clad storefront. You don’t need the phone itself to be the Beacon to do that. I do like this idea of the iPhone itself being the Beacon, though. This opens up a whole other world where two people with iPhones become two Beacons that can communicate with one another within a proximity. Or where an accessory you wear can find other people who wear the same accessory (because the accessory itself becomes a Beacon). I could see this becoming a networking tool — kind of like the LinkedIn version of Grindr (I won’t link you to that app; but feel free to Google it if you’re curious about the technology) where you get a notification if, say, a fellow marketer is on the train with you. I don’t think that’s what you were getting at, Gary — but your comment inspired a thought. Anyway — thanks for reading, Gary. Would love to hear more about your thoughts on tracking dimensions and how making the iPhone itself a beacon could make whole the system feel more safe. 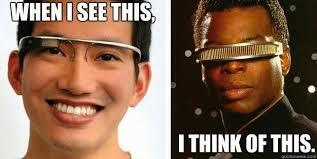 It’s interesting thinking about how this type of technology is going to change the way we interact with other humans. I’m also interested in seeing how advertising begins to slowly infiltrate app/Beacon experiences like this. Automatically picking up a phone and opening an app to order a beer at a local pub creates exponentially more user-to-screen time — and, accordingly, exponentially more opportunity for user-to-advertisement time. I don’t think it’s a stretch at all to think free beer ordering apps will have advertising built into them; the question is 1) how do we change the way we advertise to more effectively inspire action based on the user’s current needs (IE: consumer is ordering beer; what paid CTA would move the person to take action at this exact moment? ),and 2) How do we continue to evolve the creation of paid content/advertisements so that they are perceived as helpful next steps rather than spam we ignore? I am excited about the future; looking forward to seeing how marketers’ continue to adapt as consumer experience — and expectation — continues to evolve. This is really a great innovation that will most likely improve sales for marketers. 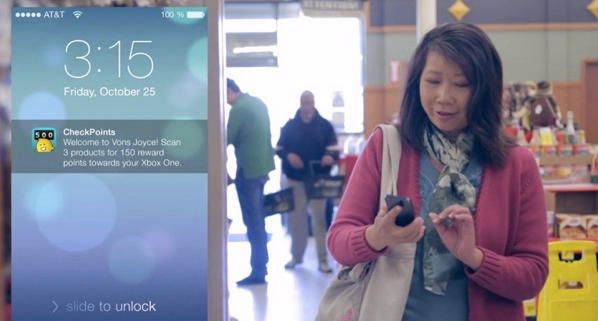 You can use iBeacon to guide your consumer’s shopping experience. I will like to try this technology to see how it really works. Thanks for providing the download links as well. When you start using it, let us know what you think of it, Nwosu!